Limited run of cassettes in collaboration with Hypermagic. We've only made 100 copies and when they're gone, they're gone. We've only made 100 copies and when they're gone they're gone. 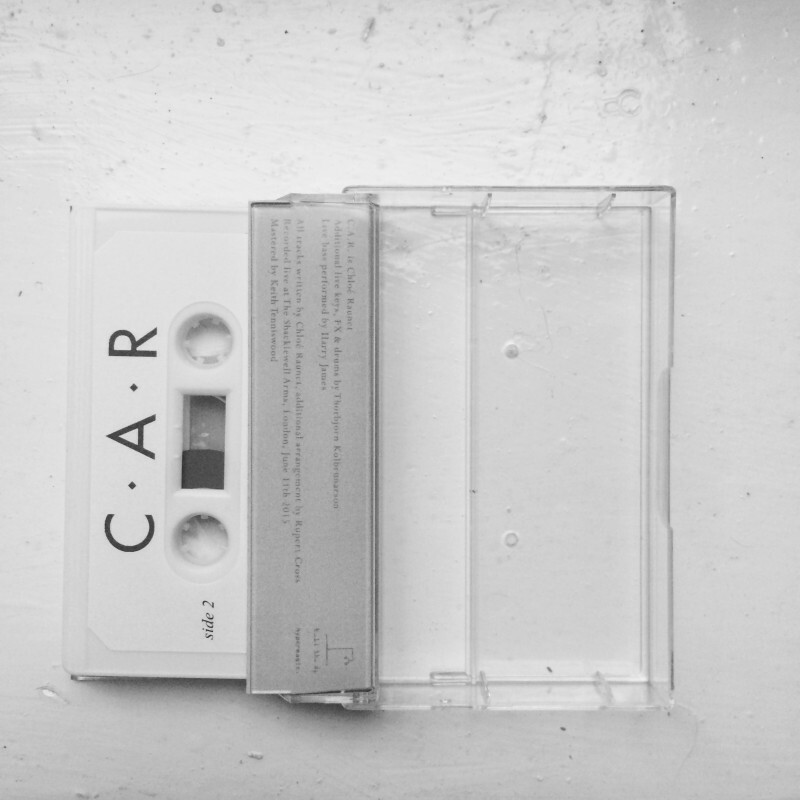 The tape version of the release is an uninterrupted 40 minutes word-to-word capture of C.A.R. performance, recorded at The Shacklewell Arms, London on June 11, including most of 'My Friend' tracks plus some exclusive and unreleased songs. C.A.R. (Choosing Acronyms Randomly) is the project of Chloé Raunet, formerly singer of coldwave band Battant and co-host of the Latete Atoto show on NTS Radio. 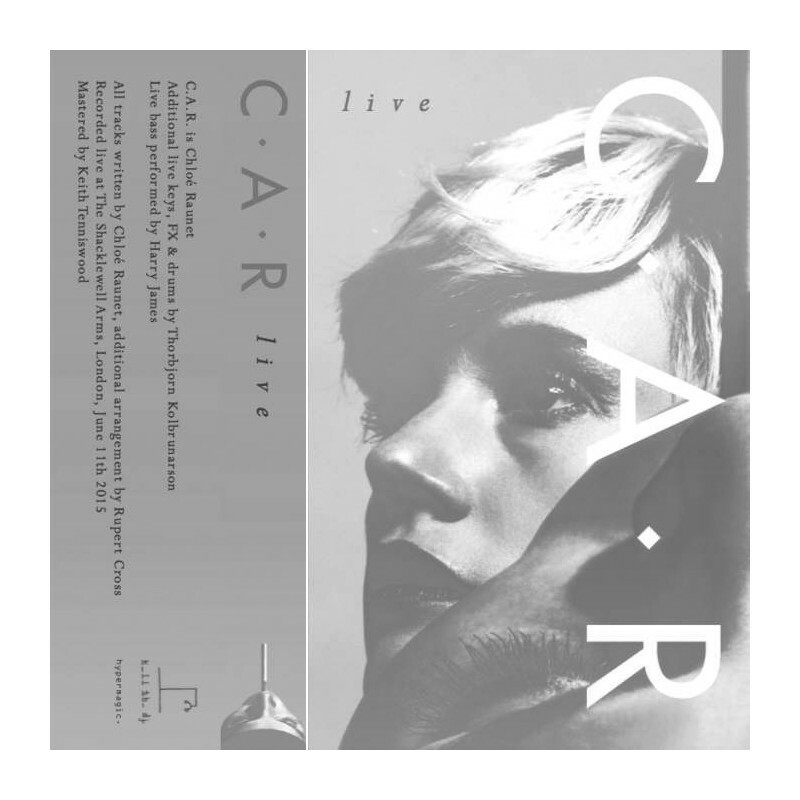 Last November Kill The DJ released C.A.R. 's debut full length 'My Friend', a record exploring pop in all its forms, moving between post-punk, synth pop, krautrock and psychedelic disco. 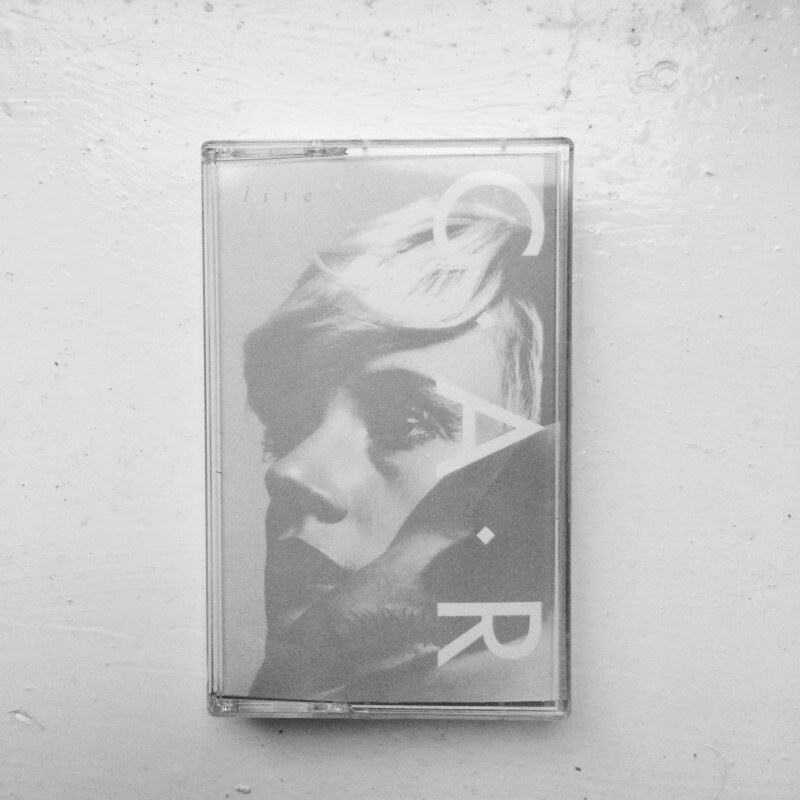 Ever since, the band has been touring Europe non-stop, and together with the Parisian collective we thought we'd make a special tape to celebrate the months spent on the road and on stage, where C.A.R. rolls around the edges of pop. All songs written & composed by Chloé Raunet except Idle Eyes, co-composed with Rupert Cross & La Petite Fille du 3eme, performed & produced by Chloé Raunet, written by G. Tibault, composed by Christophe and published by Dreyfus Music / Soc Madeline Nº1.